To operate a benchmark, working museum preserving and presenting the social and engineering heritage of historic London buses and associated artefacts for inspiration, learning & research, the enjoyment of the public and the education of future generations. A 3-year Implementation Plan, covering each of the Strategic Aims & Objectives. Our Vision is the completion of the transformation from a bus-preservation society into a fully-fledged, public, Accredited Museum with a well-resourced, secure future and which fulfils all its obligations to its users and audiences, to the heritage and its conservation. We envisage that, within 5 years [of 2012], our Museum will set benchmarks for UK road transport museums in terms of restoration standards, public access & participation, education and fundraising. aim for professional excellence in all that we do. treat everyone equally and with understanding and respect. ensure that the voices of supporters, staff & volunteers and users are heard throughout the organisation. remain a strong, independent and well-managed trust organisation for the benefit of our existing and future users. work in partnerships that are beneficial to our aims and objectives and to our users. continually strive to improve our performance and always act with honesty, transparency and integrity. meet the standards required of a Registered Charity and of an Accredited Museum. be accountable for all that we do. The Trust aims to remain strategically-driven, mission-focused and managed in full accordance with regulatory requirements and best practice for Registered Charities and Accredited Museums. to develop and maintain a robust operating framework which enables fulfilment of our mission and sustainable growth. to work within an annual business plan with an agreed budget and clear and realistic targets. to ensure the long-term survival, security and protection of The Trust’s assets by maintaining the organisation’s trust and charitable status. to develop the optimum organisational and supporter structure for the organisation. to maintain a professionally well-balanced Board of Trustees which represents the interests and aims of the Trust as well as the interests of our stakeholders. to establish a clear distinction between strategic direction and day-to-day operational management by creating capable executive teams below Trustee level. to establish a strong, authoritative and independent brand identity. to take active steps to measure the impact and reach of our services and to take effective action to adapt and improve accordingly. to undertake regular benchmarking against comparable organisations. to maintain the Trust’s constitution as fit for purpose and up to date. to review regularly the possibilities for working partnerships and/or mergers with other organisations. to maintain the strategic framework, reviewing the strategic aims and objectives at least every 3 years and renewing the implementation and business plans annually. The Trust aims to create and maintain the most representative and authoritative collection of historic London buses and associated artefacts, and to achieve the highest possible standards of restoration and conservation. The collection will comprise objects of bus operation in London and the surrounding country area and towns from the earliest days until a rolling date approximately 30 years before the present. The Trust will avoid duplication in the collection and will accept only those objects which are authentically presented and in unmodified condition, or capable of being restored to such. to develop and maintain Acquisition and Accession policies which match the Trust’s objectives and which comply with best practice for Accredited Museums. to research and record the location and availability of vehicles and associated artefacts suitable to join the Collection and take all possible steps to acquire same when they become available. to maintain an ambitious but realistic restoration programme for rescued objects with defined targets and milestones, ensuring the highest possible standards of quality, authenticity and workmanship. to promote the Museum as a suitable home for all small artefacts, archive material, records, photographic material and other ephemera relating to the history of London buses. to maintain and conserve the artefacts to the highest possible standards in optimum conditions for their well-being and long-term survival. to accept objects into the Collection only on the basis of full transfer of ownership or on long-term unconditional loan in accordance with Spectrum standards. to meet in full the Spectrum standards of cataloguing, recording & archiving. to maintain mutually-beneficial relationships with like-minded organisations in the transport heritage sector. 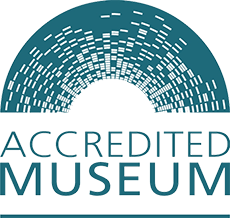 to take all necessary steps to ensure that the Trust retains its status as an Accredited Museum. To accept full responsibility for the importance and value of London’s bus heritage to the social history and development of the capital and to fulfil our duty to keep it alive by displaying it appropriately, providing access to all and informing and educating current and future generations. to research and record the history of the London bus and its contribution to the development of London, fitting our artefacts into this story and presenting them in context. to achieve the highest possible standards of public display in the Museum. to achieve universal access to the Museum for visitors of all ages and physical abilities. to include strong informative, participatory and educational elements in the Museum’s displays. to maintain an active fleet of working buses which can be experienced in operation and can appear at heritage events. to support schools and other educational establishments with their curricular requirements by providing visits, talks and demonstrations. to provide training and placement opportunities for engineering colleges to enable their students to acquire traditional skills and expertise in the Museum’s workshops. to support local communities in the Museum’s catchment area by taking artefacts and displays to their events. To build and maintain a diversified and sustainable funding base that enables the Trust to achieve long-term financial viability and achieve its strategic aims and objectives. to produce an annual fundraising plan which provides for sufficient unrestricted income to cover the Trust’s operating costs. to develop the Trust’s individual supporters into tiered and focused groups appropriate to their levels of potential financial support. to maximise admission revenue to the museum (price and visitor numbers). to introduce and promote corporate support of the Trust. to encourage and facilitate the Trust’s trading company to expand its operations and to increase its level of donations to the Trust. to develop commercial hire of the museum and facilities, subject to legal restrictions on trading. to produce revenue from the hire of museum exhibits for film and TV productions. to maximise the scope and profitability of the Trust’s special events. to maximise opportunities to raise funds from the Trust’s individual supporters through regular contributions to appeals and standing funds. to maintain and increase revenue from the sale of donated items. to actively seek out funding from charitable trusts and foundations, the HLF and other grant-givers at every appropriate opportunity. to regularly review and pursue all other available sources of funding. To maintain the Trust’s financial and legal affairs in good order, complying with all the requirements of company and charity law, and to provide the trustees and officers with accurate financial information and budgetary support. to maintain a robust and clear set of controls governing the organisation’s financial procedures. to maintain accurate records of all financial transactions. to prepare audited accounts in a timely manner. to support the trustees and budget-holders with the provision of financial information to facilitate budget-setting. to provide the trustees and budget-holders with accurate and timely management information. to maintain an unrestricted reserve fund of [one year’s] normal outgoings to cover unforeseen adverse circumstances. to maintain suitable insurance cover for the Trust, its assets, officers, staff, volunteers and visitors including public liability cover. to ensure that suitable risk-assessments, procedures and standards are maintained in relation to the health and safety of staff, volunteers and visitors. to maintain written records of all formal meetings of the Trust. to store securely all legal documentation and agreements pertaining to the Trust. To maintain a supporter and staffing structure that enables the Trust to meet its aims, objectives and responsibilities, and to maintain best standards of communication with, and treatment of, all concerned. to maintain an organisational structure that is fit for purpose at all times. to introduce a supporter structure that best provides for mutual support, influence and benefits between the supporters and the Trust. to create and maintain an administrative spine of human and other resources that enables the museum to function efficiently. to develop and maintain organisation-wide risk-management and health & safety procedures. to introduce and maintain suitable training programmes for staff and volunteers. to introduce and maintain effective management and motivational procedures for staff and volunteers. to maintain effective internal communications with all supporters, staff and volunteers. To present the organisation in the optimum light to all existing and potential stakeholders & opinion-formers, to maintain a strong, clear and attractive brand image and to obtain favourable publicity for our events and initiatives. to maintain a clear branding and a strong image for the Museum that support the Trust’s aims and objectives. to identify all appropriate audiences and to market the Museum to those targets with a view to maximising visitor attendance. to develop and maintain appropriate contacts with influential organisations and individuals whose support will be beneficial to the Museum. to keep the Museum in the public eye at every suitable opportunity. to develop and maintain contacts with press, TV, other media and opinion-formers for the purpose of marketing the Museum and publicising its events and functions. to produce and distribute marketing & publicity material, as well as brochures and guides, to a consistent, high-quality standard and in accordance with the Trust’s corporate image. to promote the Museum through a high-quality and well-maintained website, as well as through appropriate social-networking sites. to maintain good communications with the Museum’s supporters via membership publications, the website and private functions.